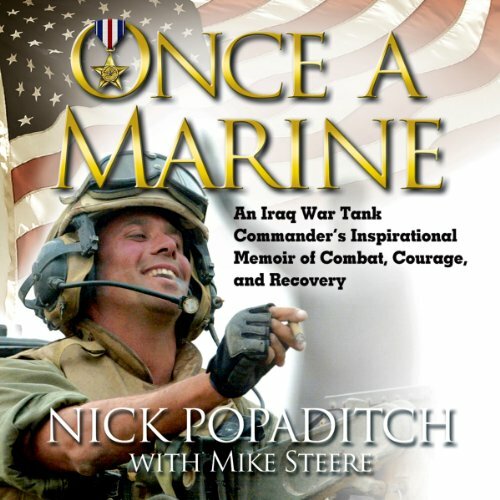 Showing results by narrator "Danny Delk"
May 6, 1986: Nick Popaditch arrives at the Receiving Barracks, Marine Corps Recruit Depot, San Diego, California. April 9, 2003: An AP photographer captures a striking image seen around the world of the Gunny Sergeant smoking a victory cigar in his tank, the haunting statue of Saddam Hussein hovering in the background. Popaditch is immortalized forever as "The Cigar Marine." A great promotional book for the Marine recruits.